Cook’s Chasm, in the Cape Perpetua Scenic Area on the central Oregon coast, is such a beautiful place! 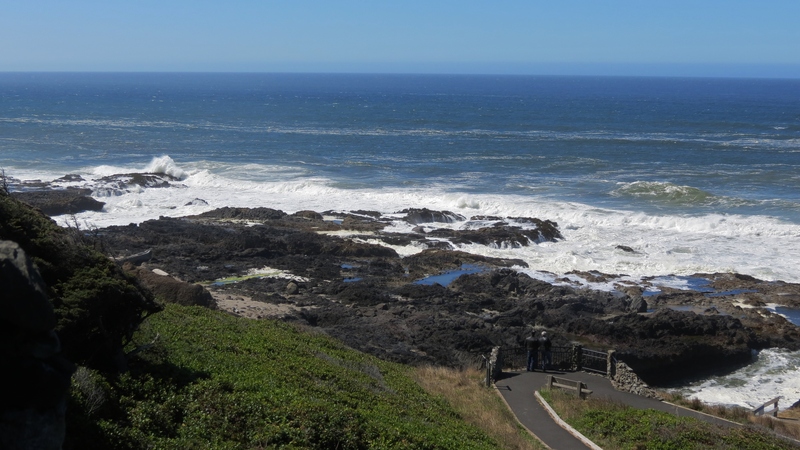 Pull off and park at the overlook, just south of the Cape Perpetua Campground, to see this view. Now don’t be a wimp, you’ll want to get out of your car and look over the railing. I don’t know what has changed in the ocean over the last week, but the swells are bigger. That means the waves crashing on the rocks are bigger too. 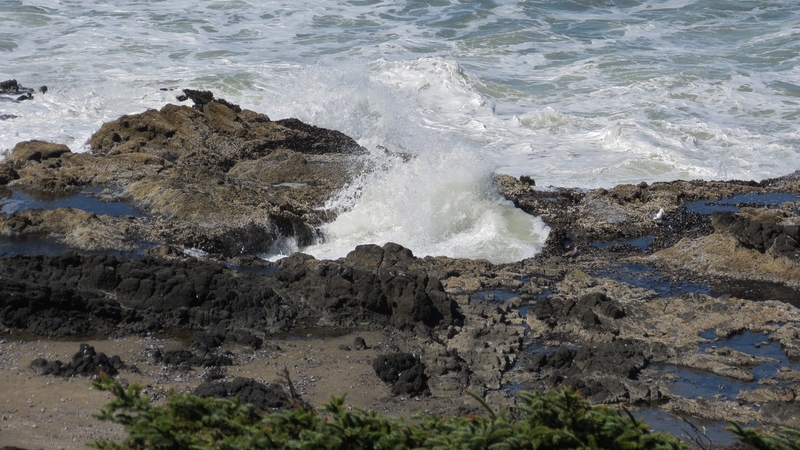 Walk to the south end of the parking area (maybe 30 steps) to read the interpretive signs and see the ocean focus her rage through the Spouting Horn. The sounds dramatize the visual! 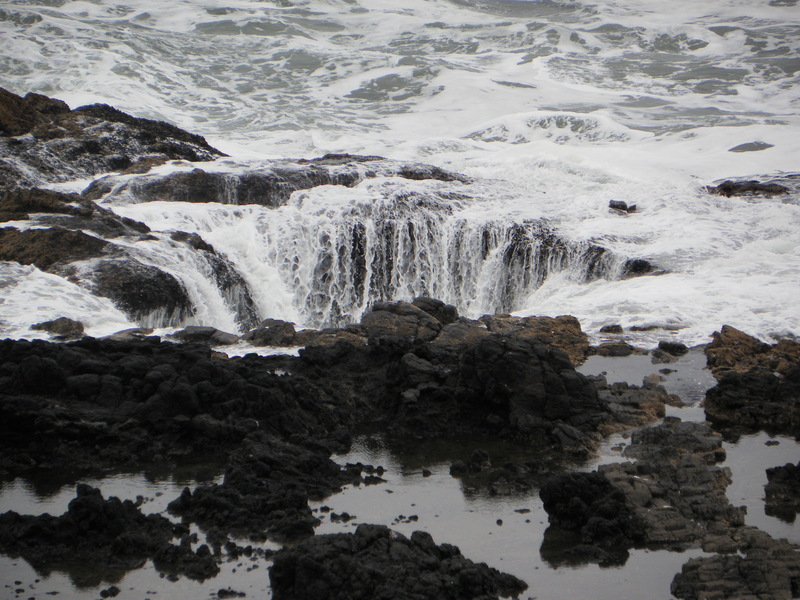 There are better photos of Thor’s Well and I will continue to try to capture them myself! All these photos were taken from the overlook. 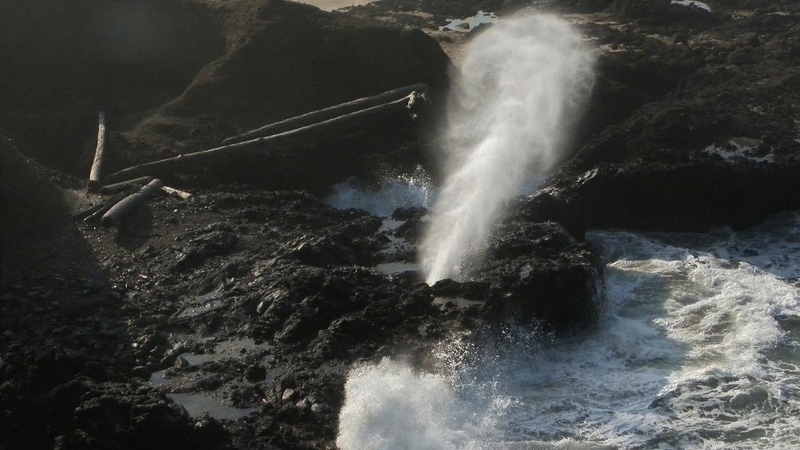 The Well is a giant hole in the rocks where the ocean is pushed up through it and creates a circular waterfall as it drains back into the hole. The waterfall photo was taken in February. That was an overcast day on the coast. Our fall weather is holding out this September. It must be getting down into the 40’s overnight and maybe up to the low 70’s by the afternoon? Can you tell I don’t pay that much attention to numbers? To put it “my”-way: I wear a heavy coat on my morning beach walks and a light windbreaker in the afternoon. coat , jacket what are thoes?